Let’s be honest, have you ever watched a boring presentation and didn’t even bother to read the content? Most of us are poor public speakers. The good news is you can become really good at it. And even better news: FAST. 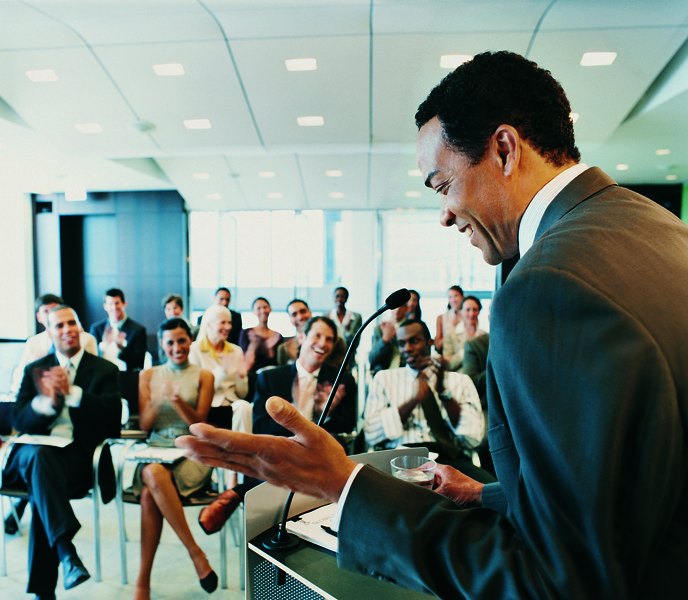 Our public speaking training is based on 24 years of public speaking experience by people who have been successful in speaking in front of groups of thousands. It is one thing to have people stay in their seats during a presentation, it is another to be EFFECTIVE in producing results with those people. This training will serve for any type of public speaking, including: auditorium events, online videos and webinars, business networking groups, technical presentations, and meetings. Do you present a product in person or in video, and CONSISTENTLY over 60% of the attendees buy your product? If not, you need OUR training. Do you wish to command the attention of anyone in front of you, at any point in time? Do you need to be effective in front of groups of people? Do you want to reliably retain focus in front of an audience? Do you wish to have everyone in your audience respond to you? Would you like to be able to predict and produce the exact outcomes that you want in your presentations and speeches? Would you like to maintain the energy level in the room for extended periods of time? Do you want other people find you entertaining? Do you want the ability to engage your audience even if you’re reading the dictionary? If you answer yes to any of these questions CLICK HERE to be all you’ve always wanted to be NOW!. Learn how to Produce Radical Results when you Speak!